“Flow Optimization and Kanban Cadences – Advanced Kanban Management Method (KMP II)”, a two-day training taught in English, systematically builds upon the foundations established in “Kanban System Design – A System Thinking Approach to Evolutionary Change (KMP I)” or your existing Kanban knowledge. By focusing on the complex demands of a multi-teamed organization, we explore how to keep momentum beyond initial improvements realized from a successful Kanban implementation. We address the need to ensure that better products and services lead to higher customer satisfaction and business performance through the sound management and understanding of the seven cadences offered by Kanban. This course provides the essential tools to those wanting to grow a learning organization and leverage the many services which connect and interact. After these two days, you will uncover the potential still hidden in your system, even if you are currently using Kanban successfully. 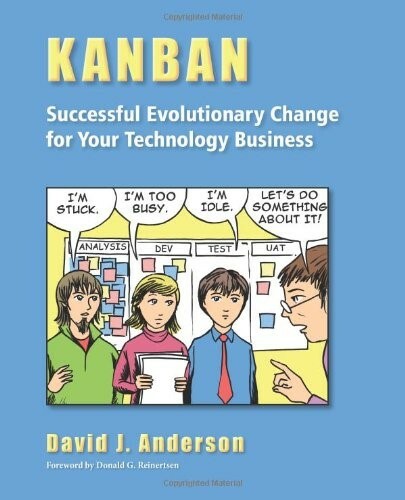 You will learn about the techniques which can be used to achieve the full-potential of your Kanban system. In this advanced Kanban training, we work on scaling, prioritizing and forecasting—those themes which need a system that has been in place for a while and has somewhat matured. “When will the work be finished?” and “How much work can we deliver in each time-frame?” are two questions which you will be able to answer in the future with accurate predictability instead of just estimating an answer. Are you at the point where the WIP limit isn’t being maintained because suddenly everything has top priority? Classical prioritization often causes more problems than it solves. We examine an economically reasonable and resilient method for prioritization: Cost of Delay. With the third theme, scaling, we focus on answering the following question: How do you best coordinate a Kanban system over different hierarchical and functional levels of a company, so that they are integrated and networked into a whole system? ØAccurately predict when your work will be finished. ØMake prioritization decisions based on economic factors instead of hunches. ØScale your Kanban system to generate more value for your company. ØImplement the most important advanced flow concepts in your daily work. The ideal participants of this class are those seeking to gain a deeper understanding of the benefits of applying Kanban to their existing workflows. This course serves those who take responsibility for establishing, managing and/or improving delivery of products and services to customers of professional service businesses. Developers, Project Managers, Testers, CXOs, Engineers, QA Team Members, Business Analysts, Subject Matter Experts, Process Improvement Coaches, Stakeholders, and Sponsors. 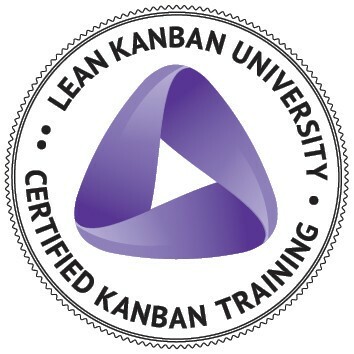 Kanban Management Professional Certification - Successful completion of both the KMP I and KMP II class will result in certification as a Kanban Management Professional (KMP) from Lean Kanban University®, the only credible certification authority on Lean Kanban. Additionally, after completing KMP I & KMP II, you will earn a Kanban Management Professional® (KMP) credential certificate accompanied by the KMP Badge. The KMP designation has no recurring fees or annual requirements. It is valid for life! No Exam Required. To attend the KMP II class, you will first need to complete the 2-day, KMP I class. We reserve the right to postpone or cancel this event if there are insufficient registrations or if presenters are unable to attend due to illness. If necessary, you will be notified no later than 5 days prior to the event and all registration payments will be refunded promptly. We will not be responsible for any other costs incurred. 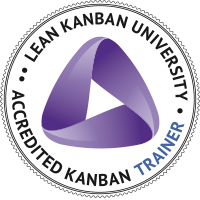 ØLean Kanban University's certified training curriculum and teaching methods were created through collaboration of leading experts and validated in hundreds of training classes around the world. ØYou get pragmatic, actionable guidance you can implement in your organization next week - because it doesn't require permission, a large budget or getting others to change. ØYou will receive training from an Accredited Kanban Trainer, who has experience teaching and coaching Kanban within several organizations. ØProfile listing on the Lean-Kanban University (LKU) alumni page. ØPrivate on-site and semi-private training classes are also available, upon request. Registration includes lunch and an electronic copy of the presentation slides after course completion.